Liz Gutierrez, Founder and CEO of Enterprising Latinas. Jackie Brown and Cynthia Robinson couldn’t contain their excitement upon hearing that Enterprising Latinas is opening a new Women's Opportunity Center to educate and train women in Wimauma. “That’s exactly what we need in Wimauma -- opportunities for growth, for progress,” both agree. Brown and Robinson grew up in Wimauma, a rural community about 30 miles southeast of Tampa in Hillsborough County. And both say they’ve never heard better news than that of a center for opportunities opening in town. “The idea of the Women’s Opportunity Center is completely new and its vision is incredible. We’ve never had anything like it here in Wimauma,” says Brown. An initiative of Enterprising Latinas, the Women’s Opportunity Center, 18240 U.S. Highway 301 S., held its grand opening December 7. For decades, Wimauma, home to about 6,400 residents, nearly 75 percent Hispanic, has been an agricultural town lacking in services as basic as public transportation. But signs of progress and investments are visible. An ALDI grocery store is almost ready to open its doors to the public in Wimauma, a Wawa gas station is under construction at the corner of U.S. Highway 301 and State Road 674, and a growing number of planned residential communities are being built along U.S. Highway 301. “All those people who are coming will be in need of services and we need to be the ones who meet the demand of those services by opening up our own businesses,” says Robinson, who was born in Wimauma. Robinson later moved with her family to Tampa and attended Springfield College, where she received a master’s degree in Human Services with a focus on youth psychology. 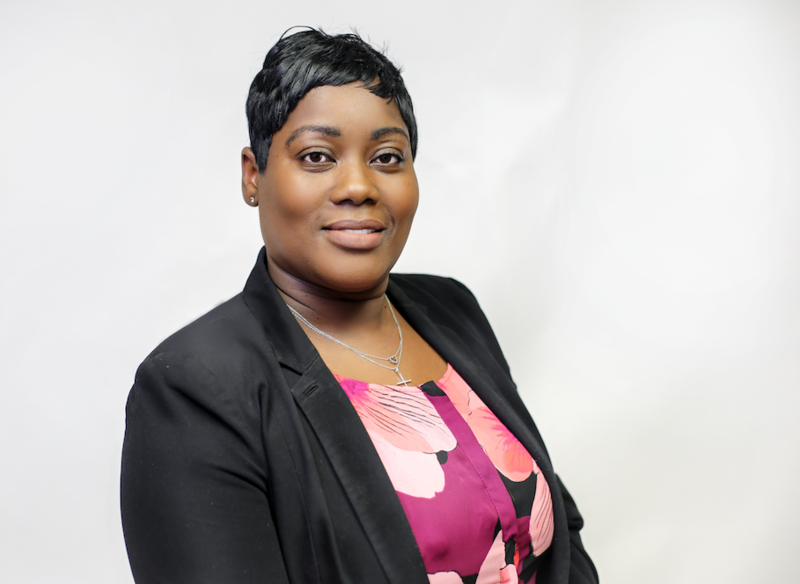 She’s been an adjunct professor at the college, possesses the necessary background to equip women to obtain licenses to open their own child care centers, and is herself the owner of a child care center in Tampa. Brown and Robinson are cousins and both shared that because they lived in poverty as children, neither imagined grand possibilities of development. 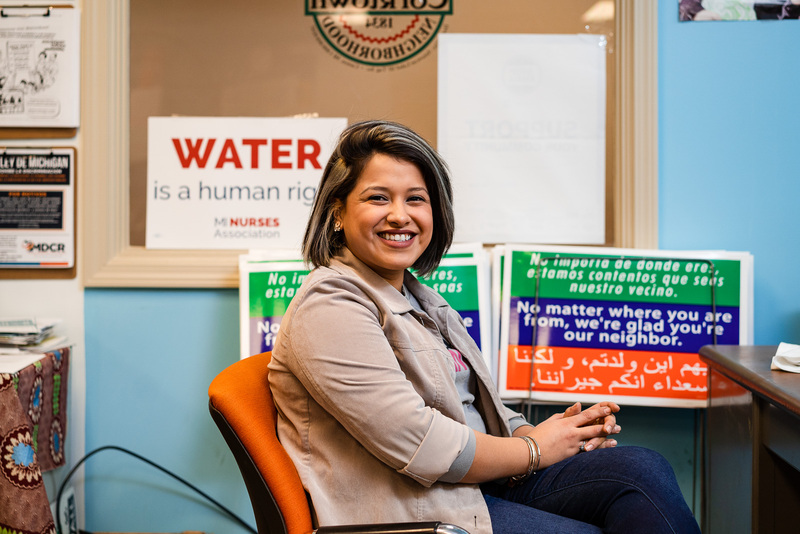 Wimauma caught Elizabeth "Liz'' Gutierrez’s attention and that of her organization, Enterprising Latinas, because it’s a community with visibly marked needs; a community in which the organization could have a major impact. “We could have chosen to work in other needy communities such as Sulphur Springs or the USF area in Tampa, but Wimauma is unique in that it doesn’t have the benefits other communities enjoy, such as the infrastructure of organizations that provide social services that not only help people deal with the symptoms of poverty, but also help them to confront and overcome it,” Gutierrez says. Gutierrez wants to make very clear that her job is not to provide charity, but to build communities, provide training, create the path to opportunity for the women of Tampa Bay. Enterprising Latinas seeks to transform the needs of Wimauma into sustainable economic opportunities that will allow women to secure a more promising future through preparation for new jobs and launching new businesses. development of the town’s economy. The Women's Opportunity Center is designed to empower women personally and professionally by teaching them how to become successful entrepreneurs, launch their own businesses in the community and thrive. According to a report by the U.S. Chamber of Commerce, the impact of businesswomen on the national economy is more than $3 trillion, and Hispanic female business owners provide jobs for 7.5 million people. As the doors to the Women’s Opportunity Center open, so will the opportunity for women to access services and launch businesses. For now, the initiative counts 38 women who are receiving the necessary training to get their child care licenses. The idea is to have seven quality childcare centers open in Wimauma to meet the community’s needs. Except for those administered by RCMA (Redlands Christian Migrant Association), no child care services are available in Wimauma. And RCMA only provides child care services for the children of farmworkers. 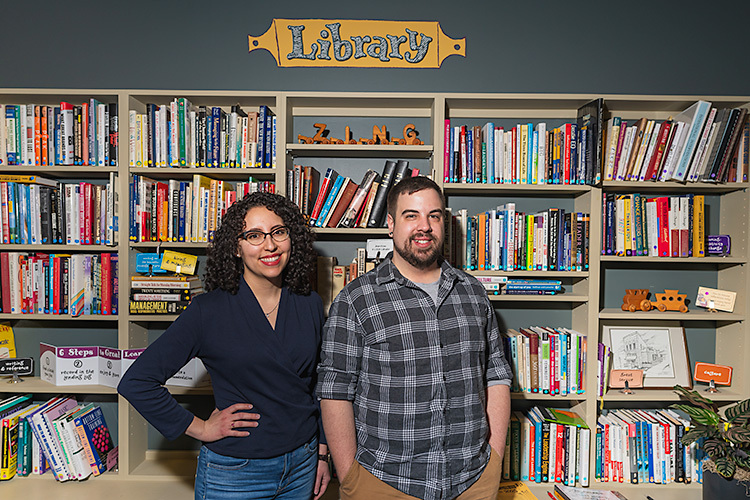 The new childcare centers, which will be created under the project known as “Wimauma Cares,” will create an opportunity for local women to become educated about child care, says Sara Arias-Steele, Program Manager for Enterprising Latinas. 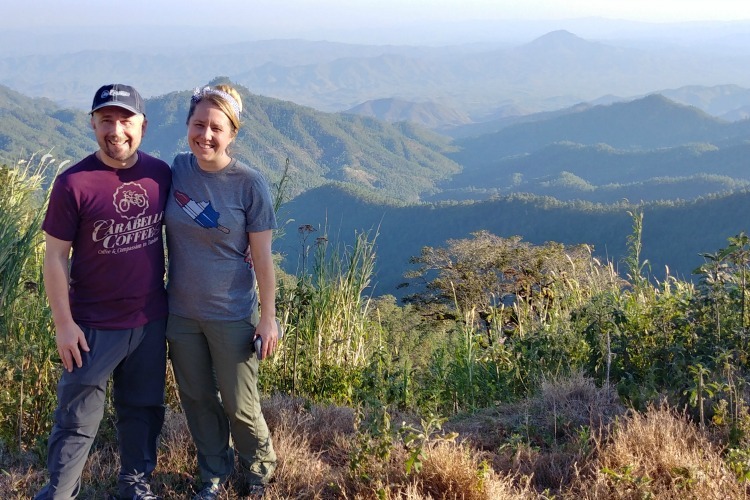 “There are no jobs here and the women who came to the orientation said opportunities like this one had not been presented before,” says Arias-Steele, who is working toward obtaining a Ph.D in anthropology. The Opportunity Center is also the meeting place for the Rising Women’s Network, in which women unite to explore economic opportunities, share experiences and together prepare strategies for success. “Seven hundred children in Wimauma are in need of childcare. We view this as an opportunity to develop and create new businesses,” Gutierrez says. Rotunda Wilcox, President of Wimauma Community Development Corporation, considers Enterprising Latinas invaluable because it’s equipping all women, not just Hispanic women, with the tools necessary to succeed. “She is empowering the community (as a whole),” Wilcox says. With support from organizations such as Allegany Franciscan Ministries, Children’s Board of Hillsborough County, Florida Blue, Hillsborough County government and United Way Suncoast, Enterprising Latinas seeks to transform the needs of the community into sustainable economic opportunities that will allow women to secure a more promising future through preparation for new jobs and for launching new businesses. In all, 28 organizations have joined Gutierrez’s efforts in the economic development of the community. Among them are: Nielsen, Project Prosper, Sierra Club, RCMA, Beth-El Farmworker Ministry, Safe and Sound Hillsborough, Solita's House, Hillsborough County Neighborhood Relations, Corporation to Develop Communities of Tampa Inc., Women’s Business Centre, Catholic Volunteers in Florida and Good Samaritan Mission. “We work to take people out of poverty, but the task is complex, especially if other barriers are considered -- such as the fact that less than 6 percent of the population has a university degree, about 60 percent of kids drop out of school, 40 percent of the population lives at the poverty level and 51 percent of the population are women with a low income,” Gutierrez says. “Our mission is to help people obtain better health in their communities and we believe that the launch of the Women’s Opportunity Center will greatly benefit women and families in Wimauma,” says Michelle Hamilton, Regional Community Engagement Specialist for Florida Blue Foundation, in a news release. Fabian Yepez, VP of Prospera-West Coast, applauds Gutierrez’s work in Wimauma and says he will assist in the education of one group of women interested in opening a child care center in their homes. “We have an already determined a number of subsidies to give this group of entrepreneur women,” he says. And, on Dec. 12, Prospera (HBIF) visited Wimauma to talk about how to start a business. Prospera will return on Jan. 27-28 to give a course on home child care. During the inauguration of the Women’s Opportunity Center, Nielsen personnel were loudly applauded when announcing they will donate seven computers to the program. Eight more will be acquired with funds from United Way. In all, the center will have 15 computers available to the women of Wimauma to use in their research, plans and programs for their prospective businesses. Wimauma's history is as complicated as most small towns in Florida. The rural community, located just southeast of Sun City Center, has experienced racism and segregation. Brown and Robinson referenced the past to explain the community’s present and how it is preparing for the future. Both women come from migrant farmworker families and are of Cuban, Indian and African-American descent. Brown shares that her father was illiterate, yet he promoted education. Her mother Rita Brown, a community activist, taught her the value of diversity and to love her neighbor regardless of color or creed. Working in the fields was a constant in the lives of Brown and Robinson as well as being alert so as not to become the victims of a violent crime of hate. “The racism was severe. It was terrible,” Brown and Robinson agree. Interviewed at Bethune Park in Wimauma, Brown and Robinson revisited their memories of the ’60s. At the same time it was an emotional time because during that period they heard that they’d never be able to attend the exclusively white schools, so when the opportunity came for them to attend those schools, they were also excited. By the start of the '70s another change came to Wimauma: Hispanics. Local whites, the anglos, were unhappy with diversity moving in and chose to move out of the neighborhood. It also wasn’t a good time to be Hispanic, Brown says. The town, in its majority, became a black and Hispanic town. “We worked side by side. We traveled together picking fruits and vegetables. We ate together, played together, worked together. We learned a lot about racial diversity, but in those days, Hispanics were treated as less than human,” Brown says, adding that this past made the people of that generation strong in spite of all the obstacles they faced in Wimauma. “With Liz Gutierrez and her group a new chapter of Wimauma will be written because they are not only empowering women, but whole families in the region. It was about time something like this happened,” Brown says. Brown is retired with more than 33 years of experience in the child care industry, and Robinson, owner of Palm River Early Child Development FCCH Center in Tampa, says they are both ready to partake in the training Enterprising Latinas is organizing in Wimauma. Both women are seeking to launch a home child care center. Brown plans to open her center at 5803 North Street and Robinson will invest in double trailers on a 4-acre land parcel on 5908 North Street. The cousins will work together, but plan to keep their businesses independent of each other. Their hope is to be ready to open the doors of their homes by June 2017 to 10 kids each. But their ambitions do not end there. Brown and Robinson plan to eventually grow their business to have the capacity to care for 80-100 kids and employ 6-8 people. “There are 340 kids who can’t go to RCMA child care centers because their parents are not farmworkers. We can tap into this market,” Robinson says. Their ambitious plan includes expanding their business to provide entertainment for youth, classes for parents, a garden to teach gardening. They explained their hopes it will eventually become a resource center for the whole family. Brown and Robinson agree Enterprising Latinas arrived in Wimauma on the nick of time as the community is about to become a suburb of Tampa. “We must take advantage of the growth and development and prepare ourselves to meet this change successfully,” Brown says.